Renewing the demand for inclusion of areas in Dooars and Terai in the Gorkhaland Territorial Administration(GTA), the Gorkha Janmukti Morcha(GJM) has formed a four-member committee, entrusting it with the task of preparing a report on the issue. GJM is unhappy with the indifference of the West Bengal Government and the Centre to the demand for inclusion of 398 mouzas of the plains areas in the GTA. During negotiations for the formation of the GTA, a State Government-appointed committee had recommended for the inclusion of only five mouzas. GJM had rejected the recommendation of the high power committee headed by retired chief justice Shyamal Sen in June 2012. The committee was formed after the signing of the GTA by the GJM, the State Government and the Centre to bring an end to the three-year-long statehood agitation launched by the GJM that had paralysed the hills. With the GJM rejecting the Shyamal Sen committee recommendations and threatening to launch a fresh agitation, the State Government had formed a fact finding committee to identify Gorkha-dominated mouzas which were fit for inclusion in GTA. But, the committee is yet to submit its report. A GJM delegation led by party general secretary Roshan Giri had discussed the issue with Bengal Chief Minister Mamata Banerjee in Darjeeling last month. The demand was again placed in the tripartite talk in Delhi on January 29 with the Centre, which advised the GJM to submit in writing the grievances they had on the Shyamal Sen committee report. Jalpaiguri district into the GTA. According to the committee, the five mouzas had been recommended for inclusion taking into account their contiguity, compactness and ground-level conditions. The rest of the 398 mouzas demanded by GJM had failed to meet the criteria. 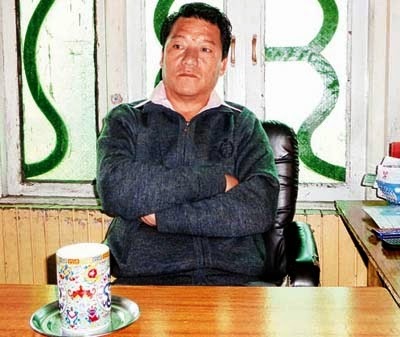 Gurung said in his post that more members from the GTA and the party would be included in the committee “The committee will prepare a report after going through the Shyamal Sen report which we will than place it to the Central government for speedy action,” said Gurung. To press its demand that the areas of Dooars were part of Darjeeling Hills, the GJM had staged a “padyatra” on February 8, 2011 from Gorubathan in Kalimpong to the Sunkosh River bordering Assam. The Jalpaiguri district administration had however stopped the agitators at Sipchu. A clash ensued and in the police firing three GJM activists had been killed.